Here are the submission guidelines for manuscript consideration for the Canadian Journal of Nursing Informatics. Papers and other work submitted for review to The Canadian Journal of Nursing Informatics must be original, must not have been published previously, and must not be under review with another publication at any time during the review process. A wide variety of submissions are welcomed by The Canadian Journal of Nursing Informatics Editorial Board. Submissions to The Canadian Journal of Nursing Informatics are peer reviewed. If the submission is appropriate for our journal, two or more editors will edit your manuscript to prepare the paper or other work for publication in The Canadian Journal of Nursing Informatics. The Editorial board and team will share their assessment (using the peer review assessment form at the end of this guide) that will help the author develop as a nursing informatics-focused writer. 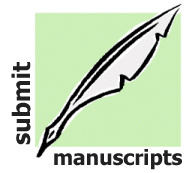 If a manuscript requires further work by the author(s), the manuscript and review forms will be sent back to the principal author. If the manuscript requires only minor editing, the Editor-in-Chief will finalize the content for publication. Full articles should average no more than 7500 words in length (this can be flexible in special cases) and should include an abstract of around 200 words. Please list the names, institutions, e-mail addresses, and if applicable, World Wide Web addresses (URL(s)), of all authors. Also include a brief biographical statement (around 50 words, in sentence format) for each author at the end of the manuscript. Please format your work using the modified 6th edition APA style guidelines provided in the downloadable Submission Guide. Please Email Your Submission as an attached file, either as a Microsoft Word (doc); Power Point (ppt); Open Office text or presentation (odt or odp); or zipped (zip) file. All submissions must be in digital format. If you have another digital format in mind, please contact the Editor-in-Chief to discuss. Multimedia presentations may be submitted using a variety of formats, including .mp4, .mp3, .flv, .avi, .mov or .swf. If your file is very large, please contact the Editor-in-Chief to arrange web-based transfer. We welcome both research and practically focused contributions. We encourage papers, reviews and other types of submissions that include hypermedia links to relevant informatics resources, since these can easily be incorporated in the online presentation. We also welcome informative Power Points, videos, and other multimedia resources that are related to nursing and health informatics, eHealth, Electronic Health Records, apps and social media in health, and so on. The Journal is issued four times a year, with a Winter, Spring, Summer, Fall edition, near the end of each season.. Copyright of Published papers in The Canadian Journal of Nursing Informatics belongs to the Author(s) and the Journal. Canadian Journal of Nursing Informatics by Editor in Chief, June Kaminski, CJNI Editorial Board, Authors is licensed under a Creative Commons Attribution-NonCommercial-NoDerivs 3.0 Unported License. Based on a work at http://cjni.net/journal.